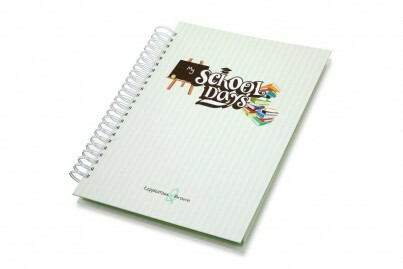 Remember your child's school days in this beautiful memory book all prepared for you to easily fill in and personalise. A popular gift for someone starting school or a lovely christening present. It is designed to be a fun, quick and easy way to compile all those important memories in a one stop shop book. A great way to share your child's memories together starting from pre-school following on every year to Further Education. Each page there is a space to add a school photo, fill in details and store favourite keepsakes and certificates. Personalise each year with a new school photo. Add the name of your Teachers. Remember who your best friends were. Record your child's height each year. Note your child's out of school activities and clubs. Note any illnesses and accidents. Remember your child's favourite colour, TV programme, film, toy, food, song, magazine. Remember where you went on holiday that year. Note how you celebrated your birthday. Add when you grow up, what you want to be! School trips - where did you go?. ''My School Days' Memory Book is 34cmx28cm and consists of 14 double sided pages to fill in and 14 pocket pages to store documents up to A4 size.